Twelve years ago, the rest of the world was watching on their TVs scenes from the Mississippi Coast and New Orleans that were very similar to what we’re watching on our smart phones from the Texas coast today. After Katrina washed through, thousands of people got to work on rescue and the long, long road of recovery. One aspect of that recovery effort, a tiny aspect in the big scheme of things but one that’s important to Mississippi preservationists, was FEMA’s architectural and archaeological survey of the three coastal counties and four inland counties (Pearl River, Stone, George, and Forrest) that took the hardest hit from Katrina. Lameuse Street Historic District, Biloxi. 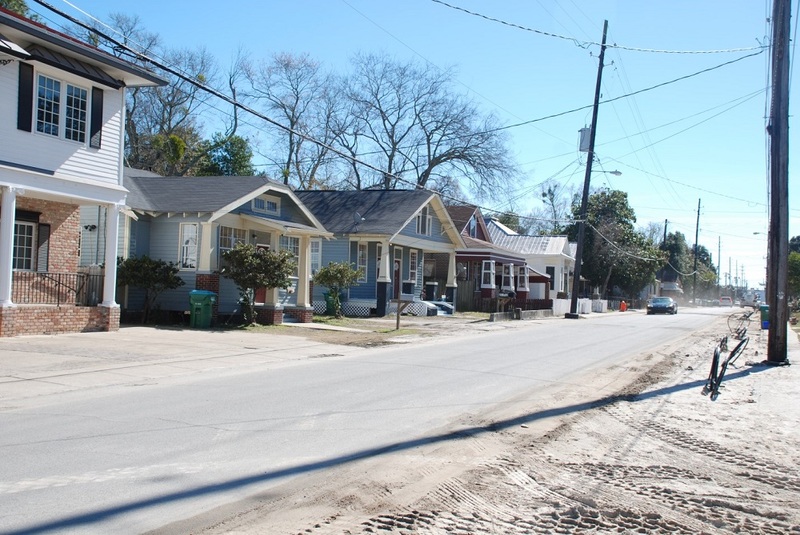 FEMA’s survey, which began in 2007 and finished up in 2016, included fourteen National Register historic districts and scores of individually listed properties on the Coast. The survey also identified a number of new National Register districts and individual properties that were recommended for listing. Its purpose was to update the information for cities and the state to use in future disaster planning. If you’ve been paying close attention to our annual descriptions of new National Register nominations for the last several years, you might have noticed that several were the result of these FEMA surveys. FEMA took a lot of heat, and some of it deserved, for its Katrina response, but this is an impressive list and shows a sustained and serious effort to recognize the Coast’s remaining built landscape. comprehensive project planning and review tool. The “County Survey Data Publications” that cover the history and architecture of Hancock, Harrison, and Jackson counties are the most interesting, even for one who doesn’t live full time on the Coast. You can download the full pdf for Harrison County at the FEMA website, or by clicking on the image below. I’m not sure why the Hancock and Jackson county publications aren’t on that FEMA page, but you can also see printed copies at most local libraries and historical societies on the Coast or obtain one through the Department of Marine Resources’ Office of Coastal Restoration and Resiliency Biloxi office. You can also contact the Historic Preservation Division of the Mississippi Department of Archives and History in Jackson for a printed copy. On this 12th anniversary of Katrina, let’s hope that Houston and its environs don’t require such a lengthy and difficult recovery effort. I’ve got a paper copy of the Harrison County report that I reference frequently. I did not know about the PDF version, that will be very helpful too.